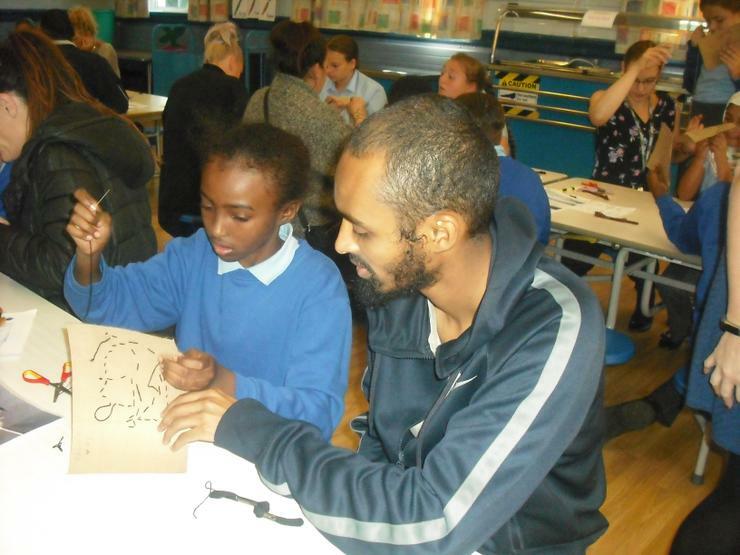 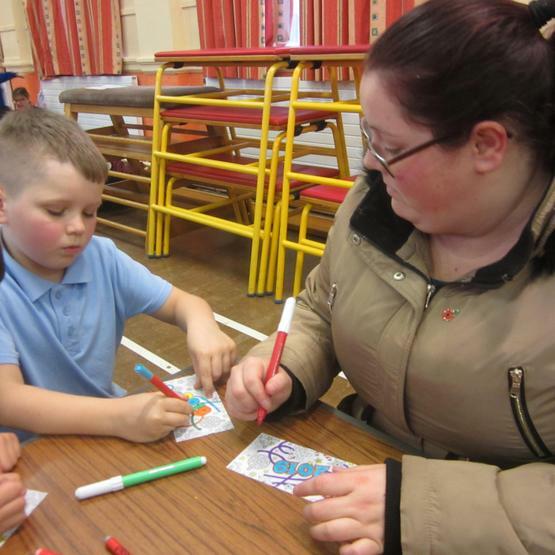 Inspire Workshops are fun and exciting workshops hosted in each year group, throughout the year. 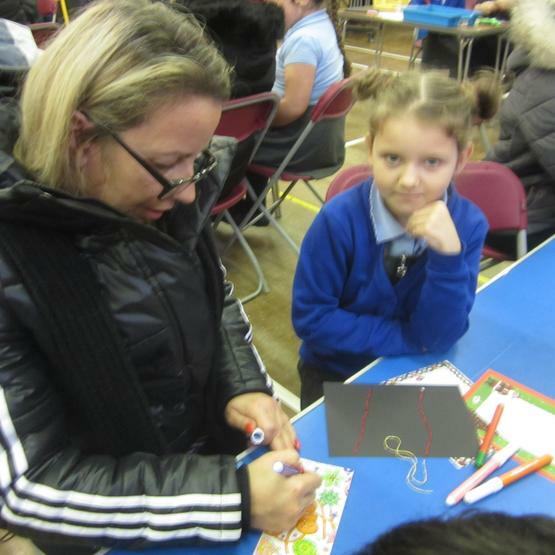 They are a fantastic opportunity for all parents and guardians to come into school and spend time with their child, learning together in a relaxed atmosphere. 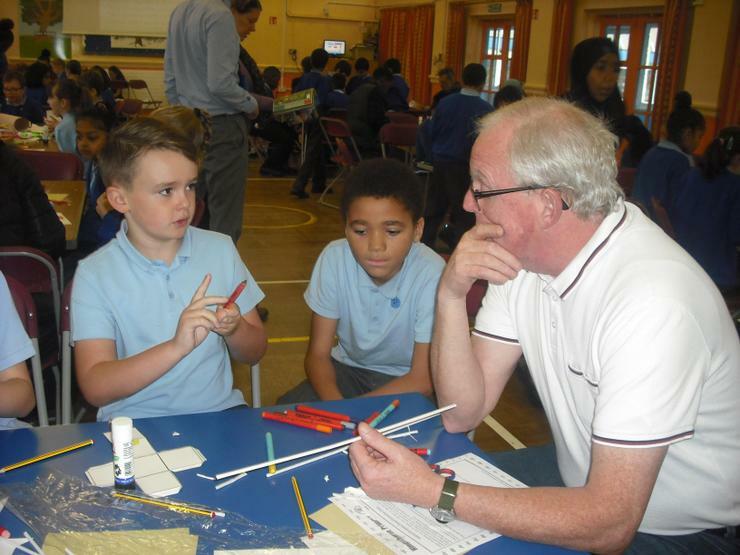 Inspire Workshops are held for each year group four times across the academic year. 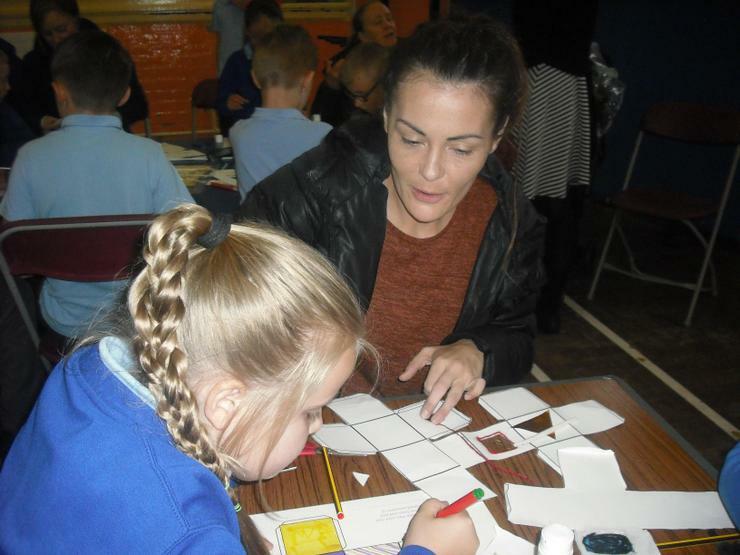 The class teachers plan fun, usually practical activities for children to work alongside their parent or guardian. 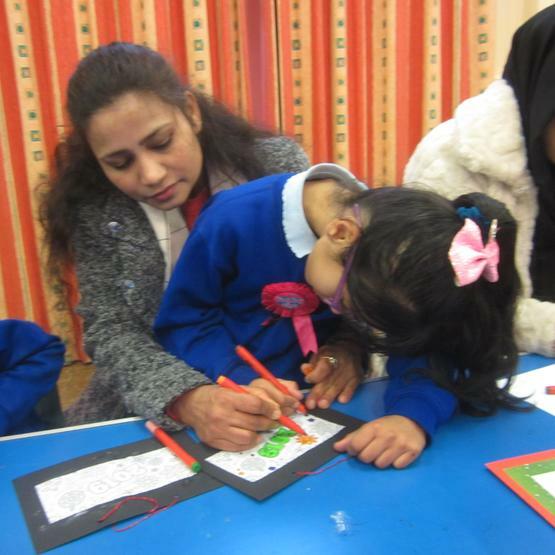 The children always look forward to these events and it gives parents and guardians a chance to see the sort of activities their children do at school. 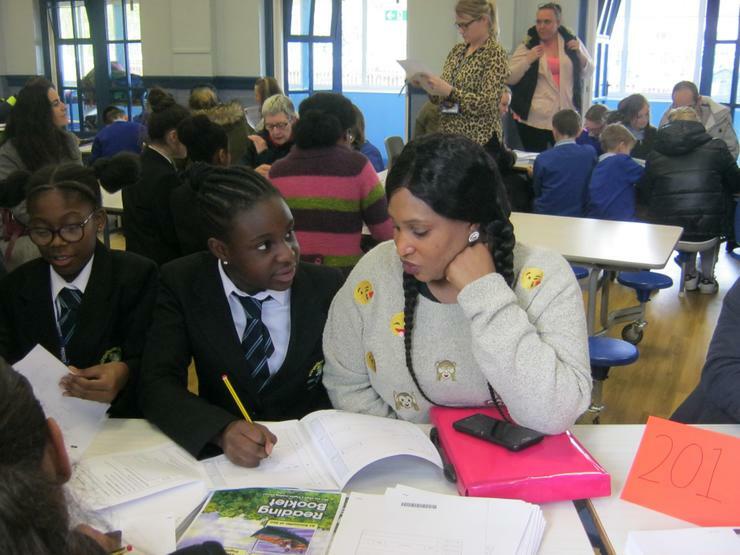 They are a good social occasion and help teachers get to know the parents and guardians of the children they teach. 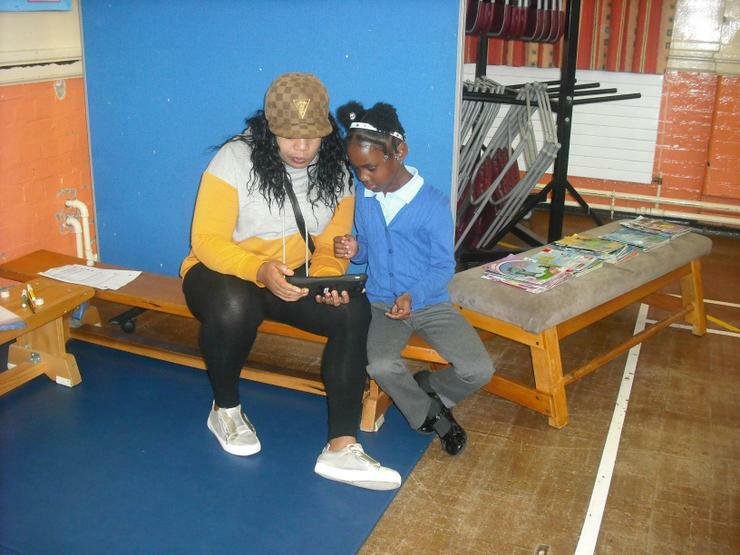 The feedback we get from parents, guardians and of course the children, is really positive. 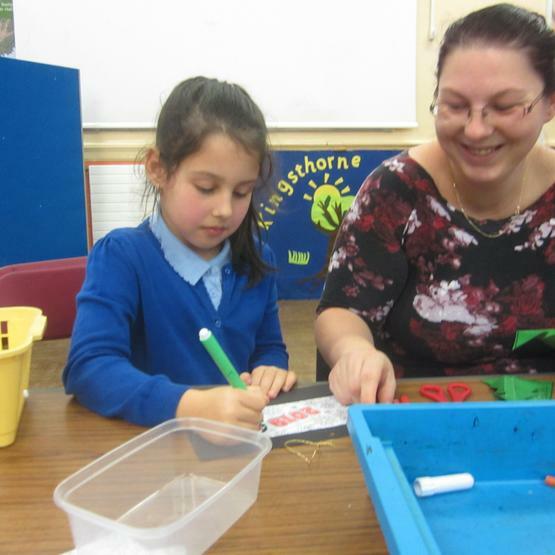 Everyone gets such a lot out of these sessions. 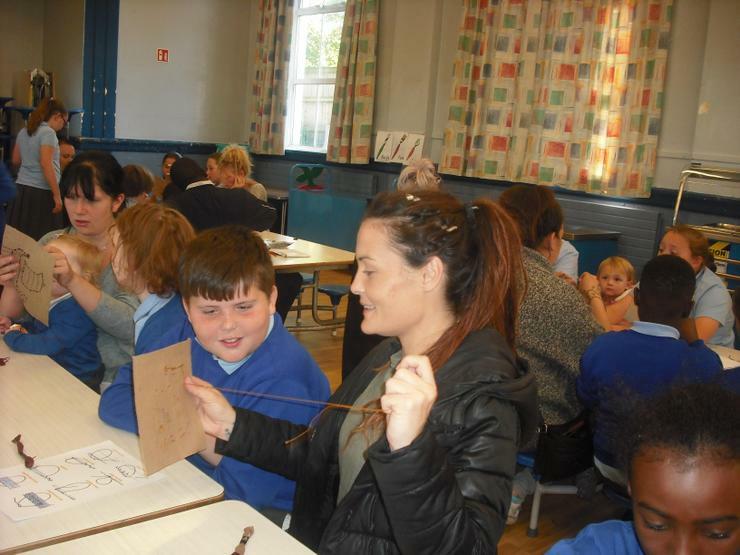 It was great to see lots of parents and carers that attended the Inspire Workshops during the school term. 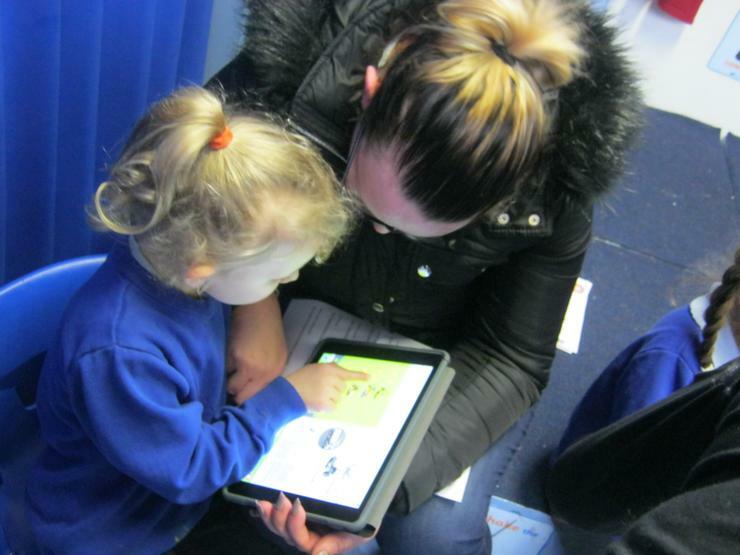 Year 1 were having fun learning their sounds and words. 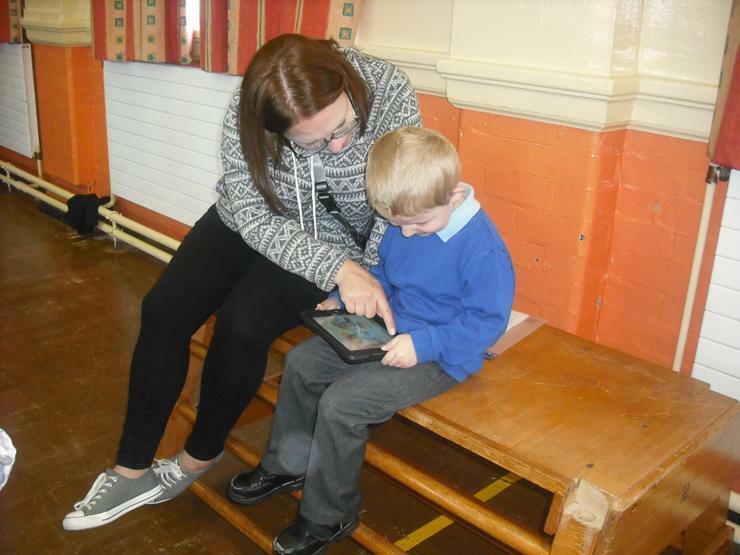 Year 2 were having a great time working together on tablets and laptops. 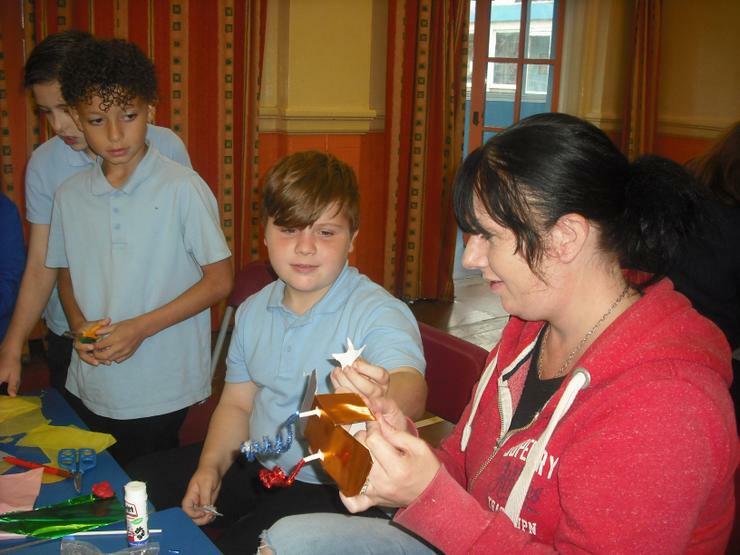 Year 5 were very creative making space pods out of different materials. 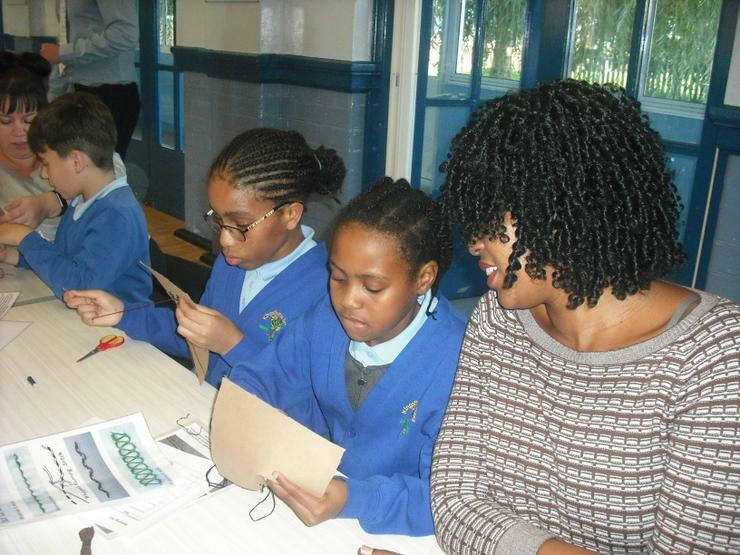 Year 6 showed excellent needlework skills when sewing templates for their Viking project. 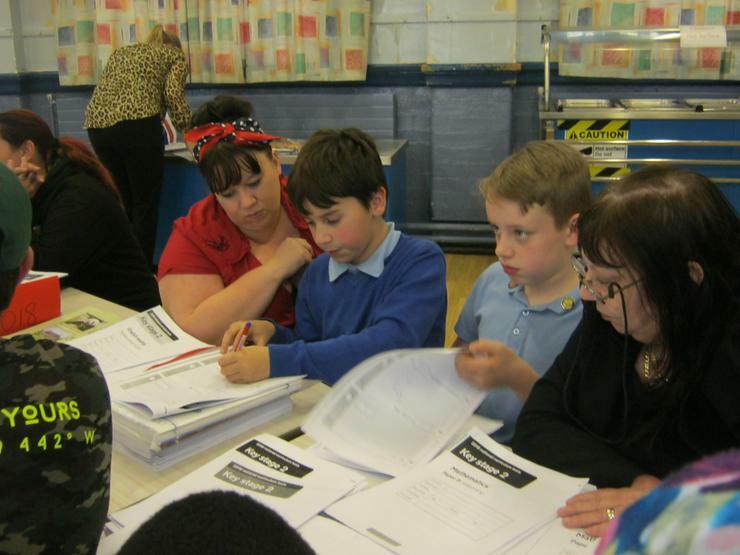 Here are a few photographs of the Inspire Workshops. 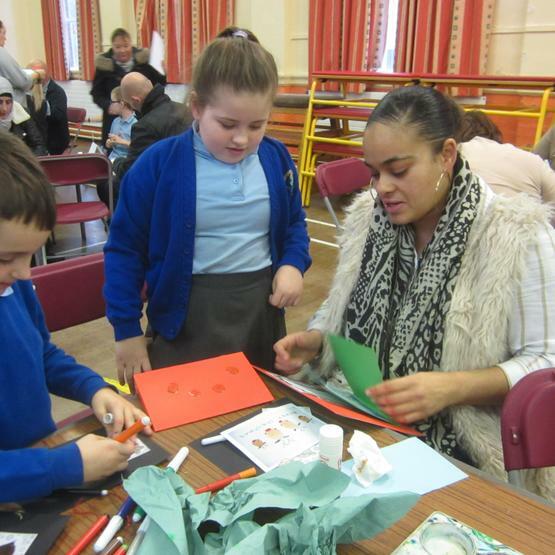 Every half term school have Inspire Workshops where parents/carers can join their children in different activities related to their learning. 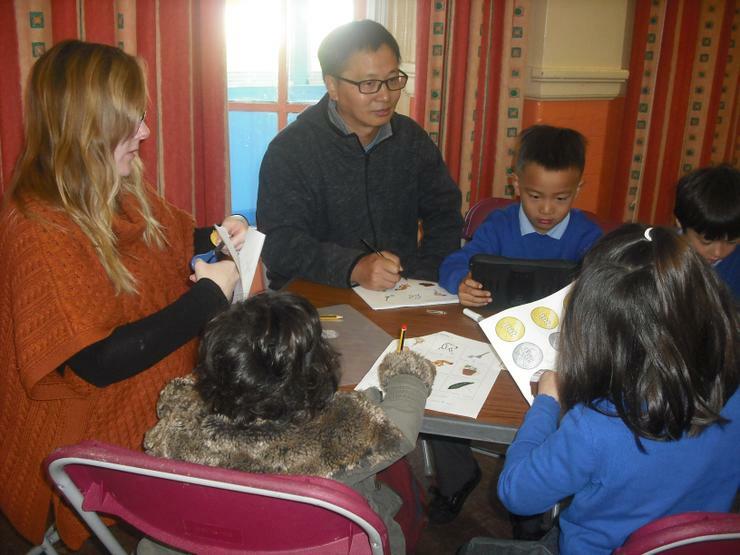 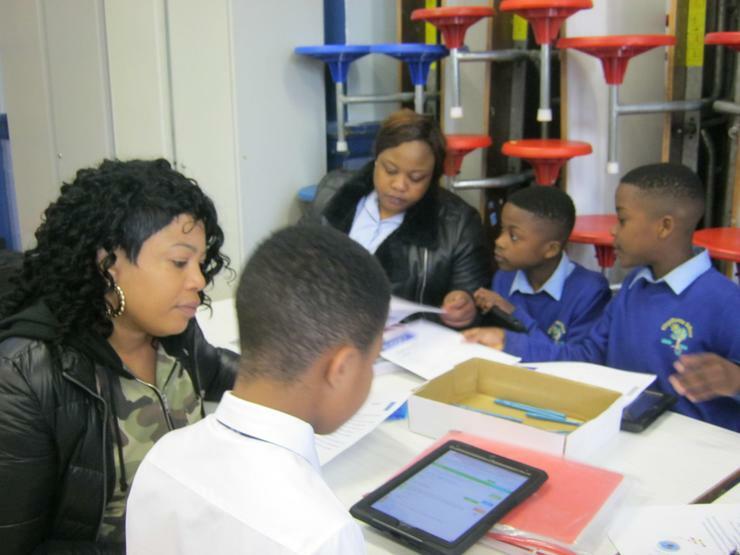 During the Autumn and Spring terms parents came into school to enjoy working with their children at the Inspire Workshops. 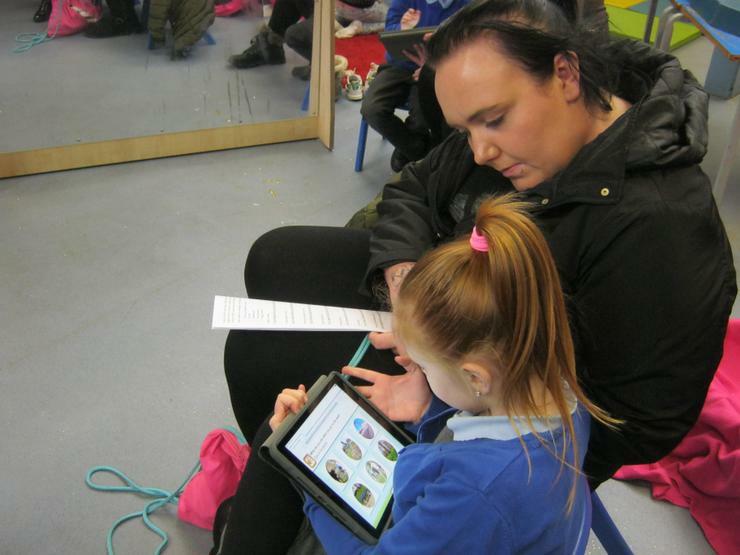 Reception parents were shown Bug Club and then worked with their children using the Bug Club site. 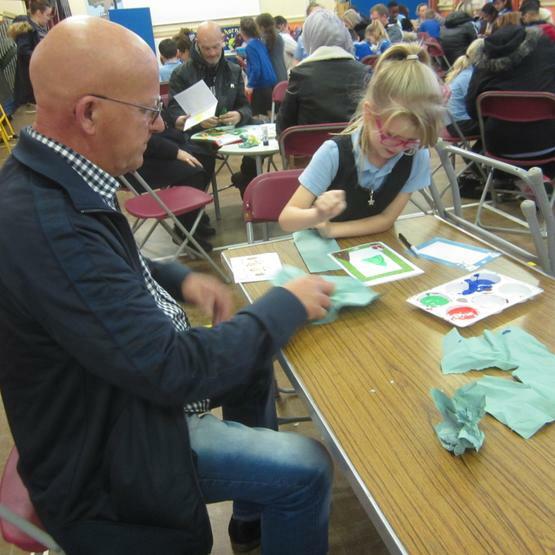 Year 3 parents had fun with art activities using lots of different materials. 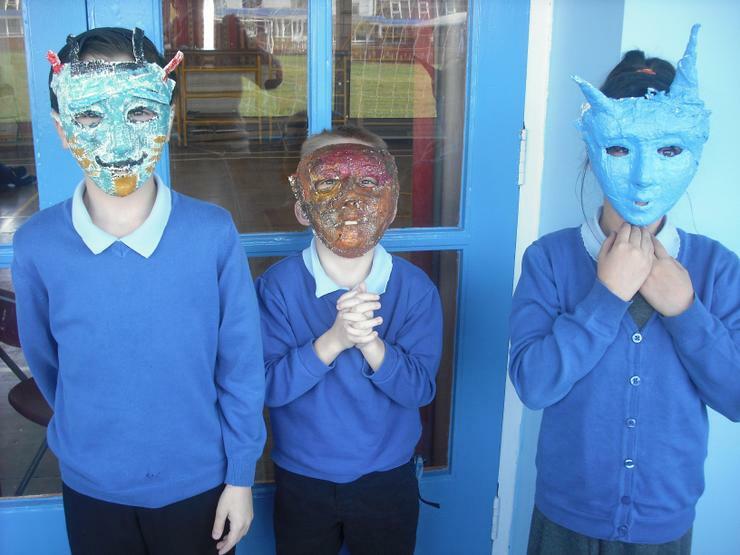 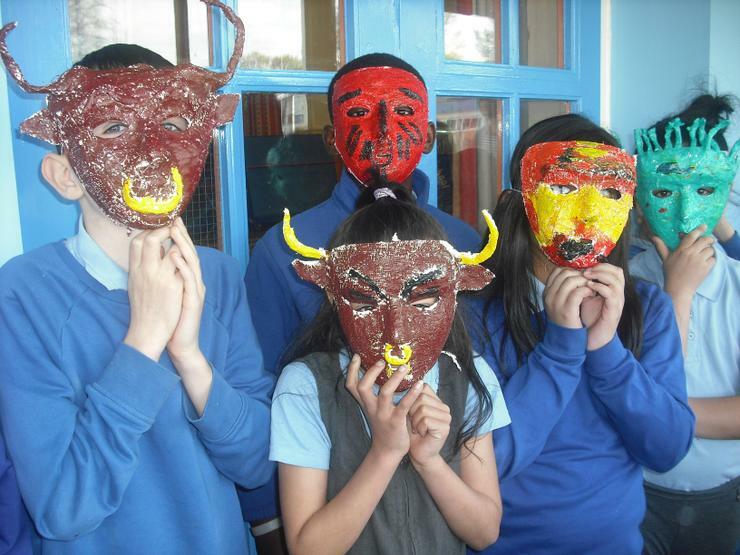 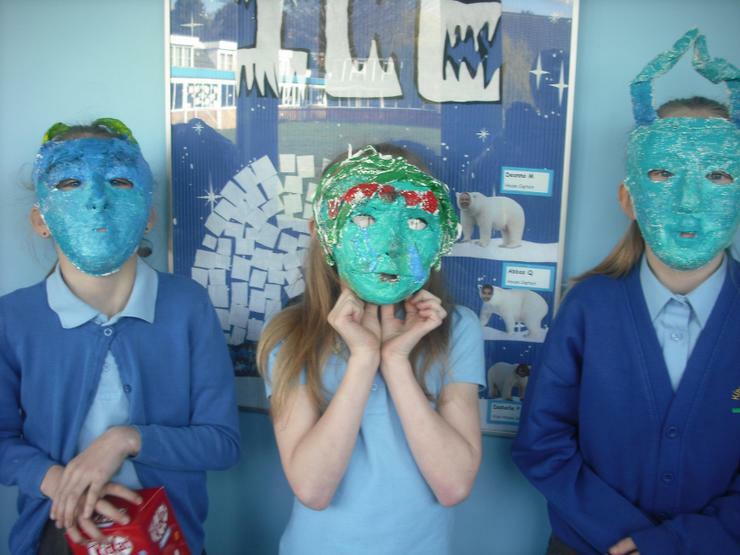 Year 4 parents made masks and Year 6 were shown what their children would be up against in their upcoming SATs.